We're hosting a Essential Candlelit Yoga Class in The Loft on Wednesday, May 31st @ 7:30 pm. Viva Voce Salon is a beauty destination.. But we are more than just hair. We are committed to bringing balance and wellness to the community of Hudson and beyond. We began the journey by opening our Vocha Beauty Bar next door. The beauty bar offers professional skincare and makeup, achieved with Aveda products. We are ecstatic to announce our latest venture - Wellness at the Loft. Originating from our passion for others, Wellness at the Loft seeks to offer complete balance for the mind, body and soul. M I N D : Learn a new skill or renew your experience at our lifestyle workshops, offered exclusively, at the Loft. Workshops include tips of the trade from experienced professionals as well as a product to take home and refreshments along the way. Re-energize your thoughts and intentions with our meditation sessions at the Loft - More information coming soon. B O D Y : If you haven't had the pleasure of a Jess Alenov class, you are seriously missing out. Give your body the break it needs with our oil-infused, candle-lit yoga classes at the Loft. 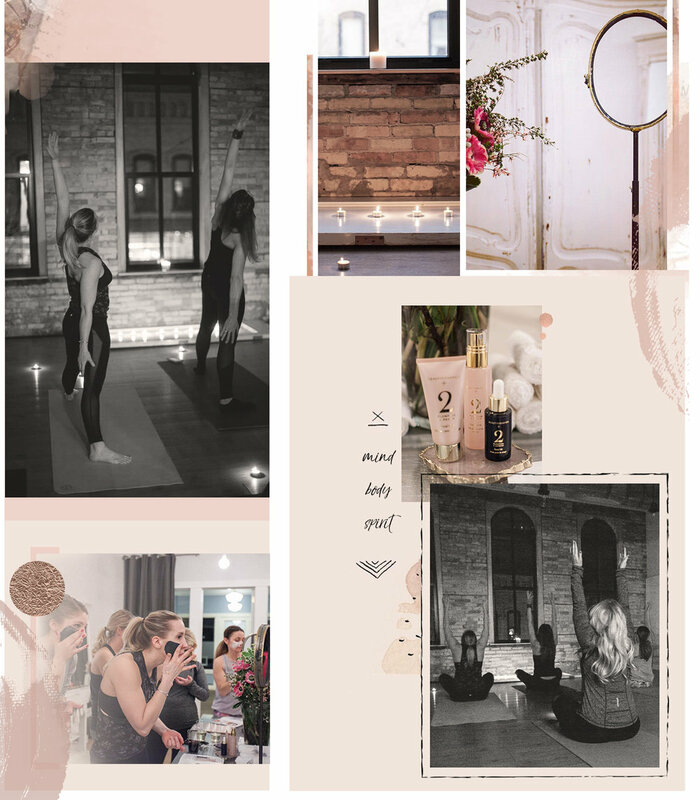 Class & package passes will be sold at Viva Voce Salon; Most yoga offerings will take place on Wednesday evenings but follow us to stay updated on additional class schedules. S O U L : All of us have an inner desire for peace and love. Whether you're a busy professional or an outrageously busy at-home Mom, you will appreciate the impact essential oils will have on your well-being. Rejuvenate with our organic chakra, aromatic, household and topical oils. Watch for DIY oil and beauty workshops coming soon, to the Loft!